Dwayne Johnson is going to be a dad again: The Rock is 'boundlessly grateful for this blessing'! The Rock is about to add another pebble to the family! 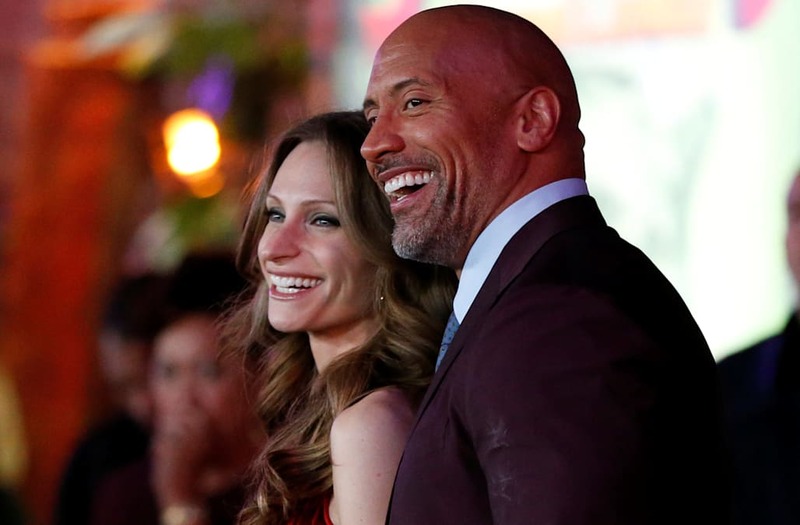 Dwayne "The Rock" Johnson and his longtime girlfriend, Lauren Hashian, are expecting their second child, the happy couple revealed on Monday. Just hours after sharing the big news on Instagram, the two stepped out for the premiere of "Jumanji: Welcome to the Jungle" to show off Lauren's baby bump. This will be Johnson's third daughter, and he couldn't be more thrilled: "And once again, big daddy is completely surrounded by beautiful estrogen and loving, powerful female mana. All girls. One dude. And a boy dog. I wouldn't have it any other way." Johnson also shares 16-year-old Simone with his ex-wife, and he's got plenty to be proud of in his oldest child: She was recently selected as the first-ever Golden Globes Ambassador. "What a morning for our ohana!" he wrote on Instagram, using the Hawaiian word for "family," as he celebrated her big accomplishment.